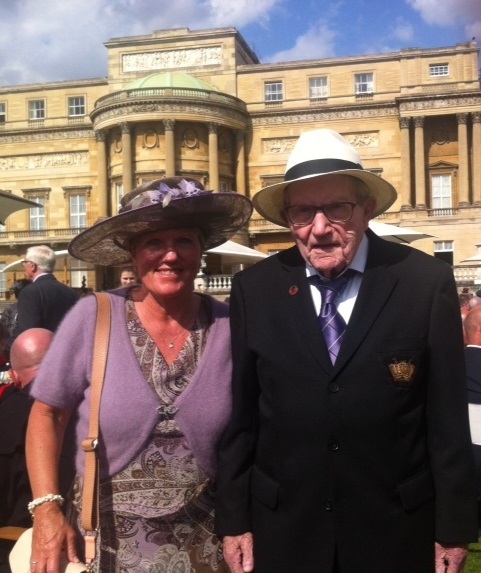 War veteran and Anisha Grange Care Home resident Jim Coffey, 89 recently had a royal day out at Buckingham Palace. 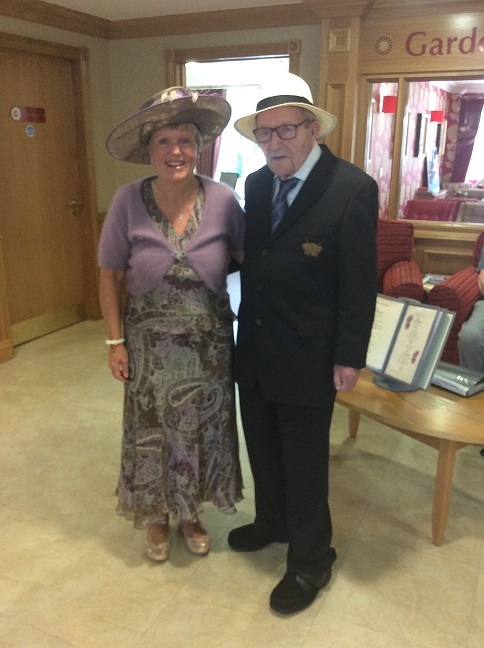 He was formally invited to attend a garden party at Her Majesty’s home by The Not Forgotten Association, in recognition of his contribution during World War II. 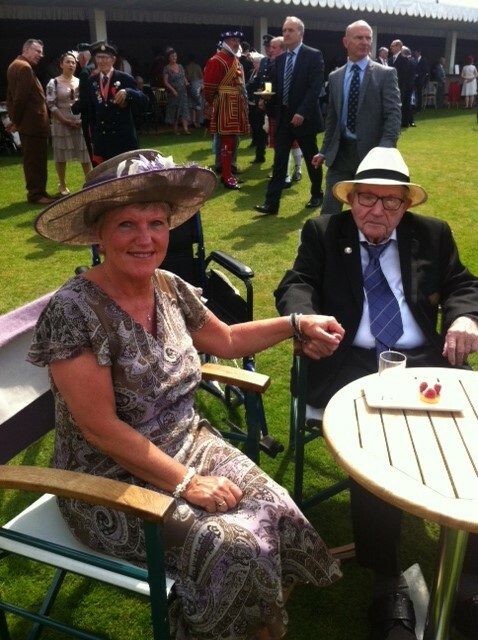 During the war, Jim worked on aircraft carriers for the Royal Naval Air Service. His daughter Julia accompanied him and wrote some kind words about their wonderful day. 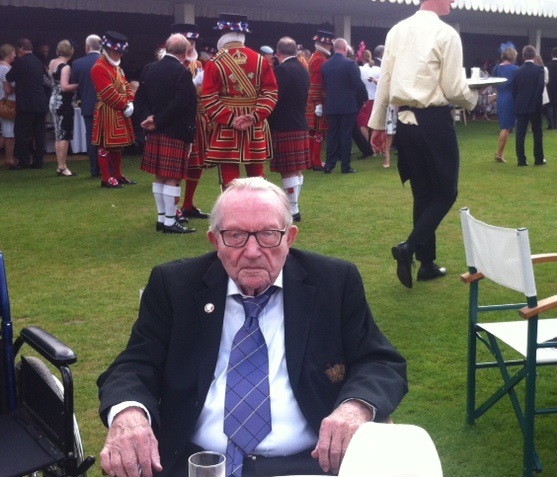 “Dad was so happy to be invited by The Not Forgotten Association to a garden party at Buckingham Palace. I felt honoured to be able to be there with him and assist him. 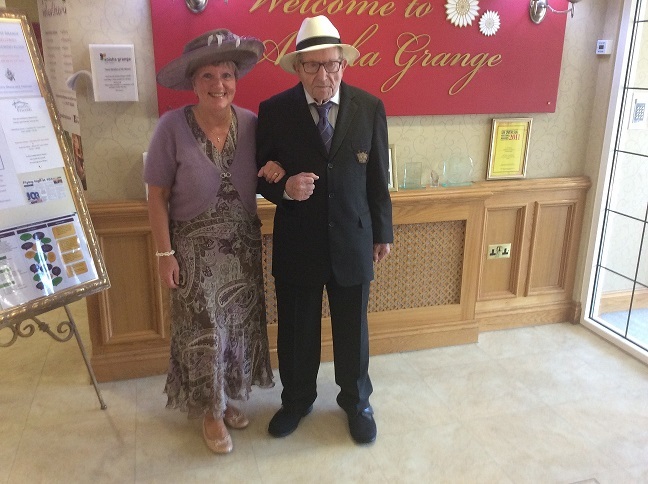 “We left Anisha Grange at noon on Thursday 26th May and were driven in style by our wonderful driver, Dan, in the comfort of a Rolls Royce Phantom, generously arranged by Hallmark. Dad thoroughly enjoyed driving through London and seeing the sights of Big Ben and the Houses of Parliament, which he hadn’t seen in many, many years. 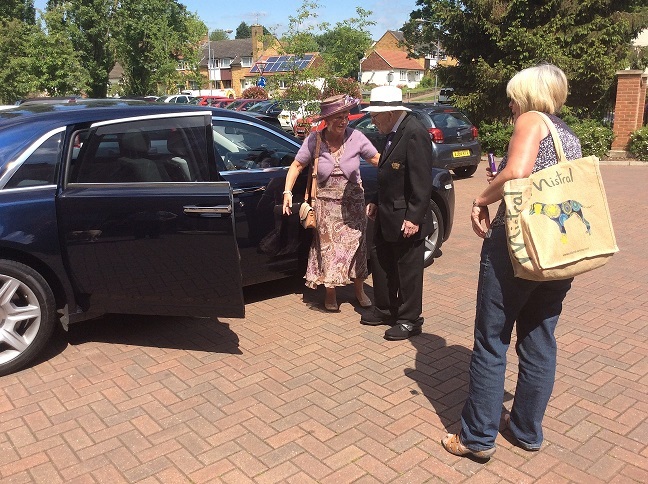 “We arrived in plenty of time and alighted at the garden entrance at Buckingham Palace. The weather was glorious and we were welcomed and escorted in by an army officer. Dad was happy to be pushed in a wheelchair as he would have struggled with the long walk. We were one of the first ones to arrive and had the pick of the beautiful tables on the lawn beside the marquee. We sat down at 2pm and shortly after, the Band of the Queen’s Division began to play under the direction of Captain Jon Milne. “At 2:15pm afternoon tea was served. The sandwiches and cakes were utterly delightful, as well as the refreshing apple juice made on the estate of Buckingham Palace. Dad was so interested in the array of uniforms being worn, as all the Armed Forces were represented. 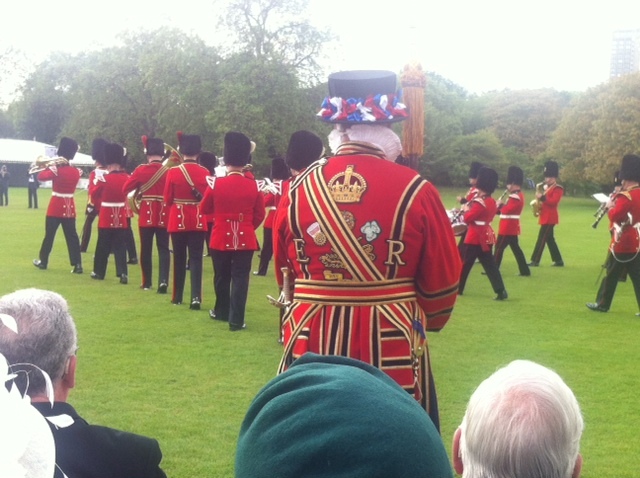 The sight of Yeoman of the Guard and Chelsea Pensioners made the garden party so colourful too. “The Duke of York, accompanied by Princesses Beatrice and Eugenie, arrived on the terrace steps at 3pm and we all stood for the National Anthem. Prince Andrew and his daughters then spent time in conversation with various guests from The Not Forgotten Association whilst the music played and afternoon tea continued to be served. We were then kindly brought strawberries and cream. “We walked over to watch the bagpiper playing and dad and I were immediately brought chairs and were seated at the front. Everywhere we turned there was someone ready to assist us. 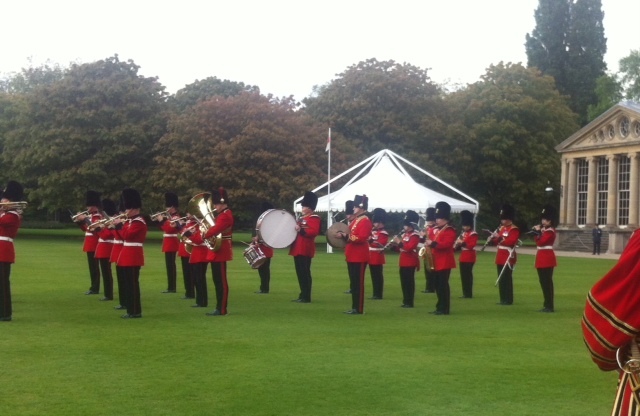 “At 4:30pm The Band of the Queen’s Division then performed Beating Retreat – a glorious sight. Prince Andrew took The Salute which was followed by the National Anthem. 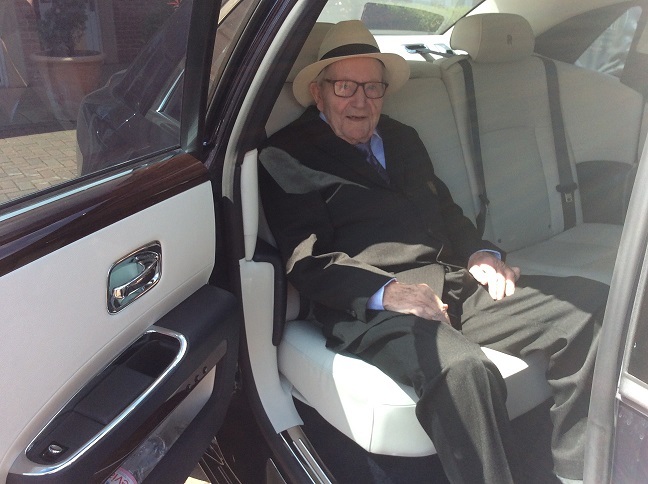 “Their Royal Highnesses departed at 4:50pm and dad and I slowly made our way back to the Palace. Dad felt confident that he could walk back through the main entrance, enabling him to walk through part of Buckingham Palace, which we had not seen on our way in. He had a great deal of assistance at every flight of steps, people could not have been kinder. 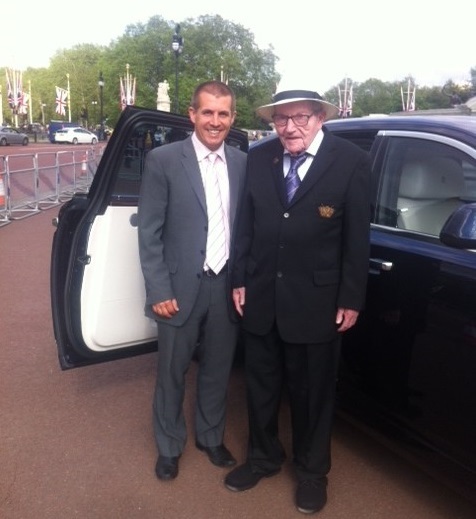 “We walked back to the garden entrance at the front of the Palace where Dan and the beautiful Rolls Royce awaited us. 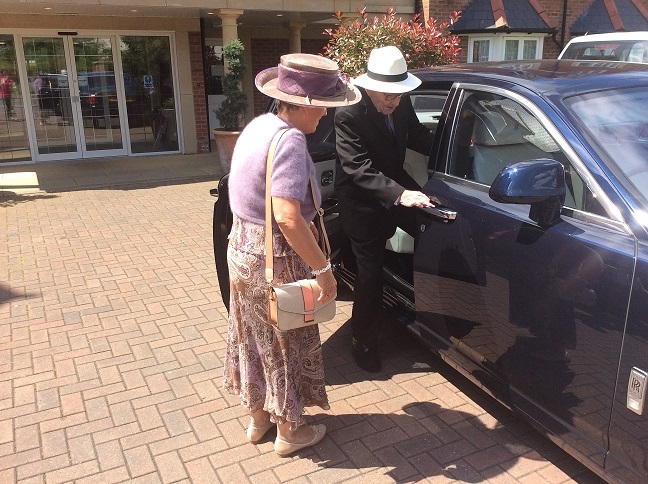 Many tourists were watching to see who the occupants of the car would be! “We had a luxurious drive back to Anisha Grange, taking in Trafalgar Square and driving along the Embankment.